I miss you my dear blog and my beloved bloggers. I would love to promise that two more weeks and I will be back for good, but I know myself too long to believe it. But I have a few good reasons, why I was somewhere else. First of all, we had real summer over here in Ireland! It lasted almost two weeks. So I ate lunch in the park, met with friends and drank an ice coffee in the park. We cycled during the weekend to Portmarnock. It was beautiful and really, really hot! Following weekend we spent in Poland celebrating our friends’ wedding. Well, we even managed to spend a day in Kraków. Kraków is romantic as usual. I managed to finally meet one of my favourite bloggers Adrienne from Bake for the Border. She is as lovely and nice as I thought she is, but I need to finally bake her a promised cake! In meanwhile we are changing the apartment, what means packing, unpacking and of course cleaning. Somewhere in between I need to fit in baking a birthday cake for Tomek. I don’t want to even mention that Euro 2012 is on and somehow since last World’s Championship I became a football fan. Well I even brought my first sport jersey from Poland, so you can see it’s serious business. Anyway, keep your fingers crossed that a new kitchen will have good cooking vibes. And before starting to pack, we are celebrating last weekend breakfast in old apartment. I read that we should eat more fish, at least we don’t eat it enough. Fish will make you smart and apparently you will be less likely to kill somebody. So let’s eat more fish. I love a smoked mackerel. I could eat it without any additional things, but I try to keep open mind. This spread is delicious and simple. Peel and flake the mackerel. Remove all bones and skin. Put the mackerel, mayonnaise, chives, horseradish, sweet paprika, lemon juice, salt and pepper in the bowl and mix it with a fork. You can use food processor or blender if you want to achieve smoother texture. It tastes best if left to set in the fridge for an hour before serving. 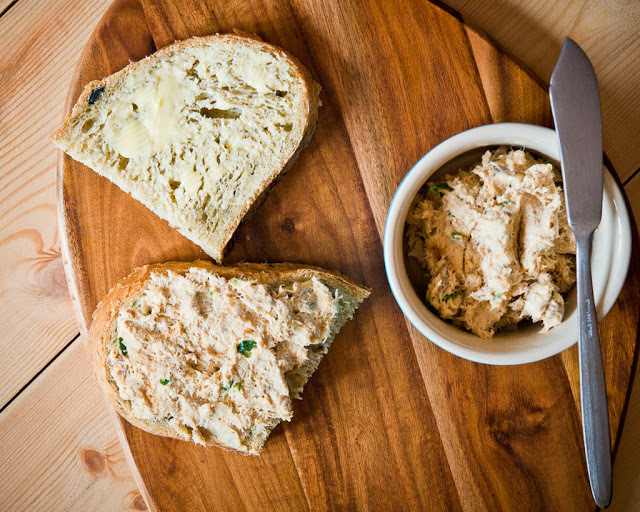 Serve with toasted bread or just good quality bread. Posted in Appetizers, Autumn, Breakfast, Polish food, Snacks, Winter and tagged fish, smoked fish, smoked mackerel. Bookmark the permalink. 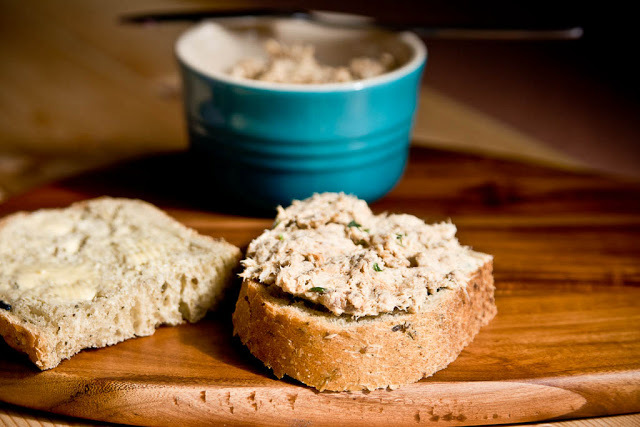 yummm this sounds good…can you tell me in weight how much smoked mackerel you use please. 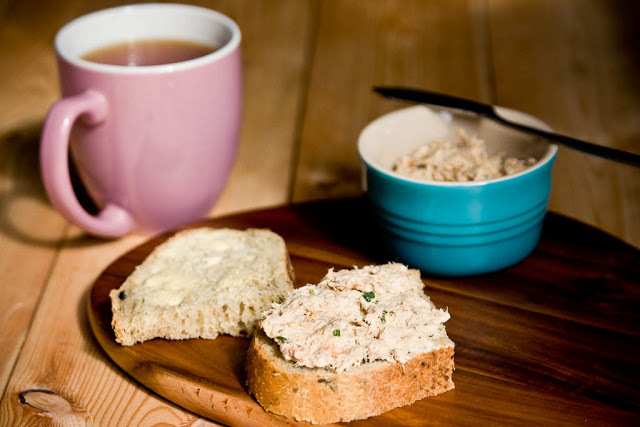 I have never tried smoked mackerel! But this looks so good, I love it! Smoked mackerel is my favourite fish. You must try it Cathleen! So, so lovely! And, yes, I’m swooning over the picture of the “Zaułek Niewiernego Tomasza”. Such immense detail… is it a HDR? Thank you Gosia, the photo was actually taken with my phone, I just added vignette effect in Picassa, but it was after rain, so colours were gorgeous. Oh so yummy 🙂 made it for brunch today – was a big success.